On the Promenade des Ardoisières (chalets area), in Sosna building, large apartment fully renovated with a cosy style. Its location is very convenient: near to the center of the resort but in a quiet area. 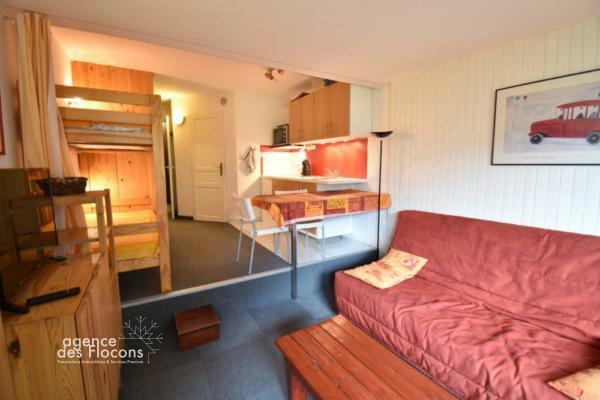 This apartment is composed of the joining of 2 studios, it is organized as well: a large living room with an equipped kitchen and a comfy dining area, a lounge with 1 sofa bed (2 persons can sleep in), 2 bathrooms with W.C, 1 small and cosy bedroom with a double bed and storage, 2 woody “chalet style” bunked beds . 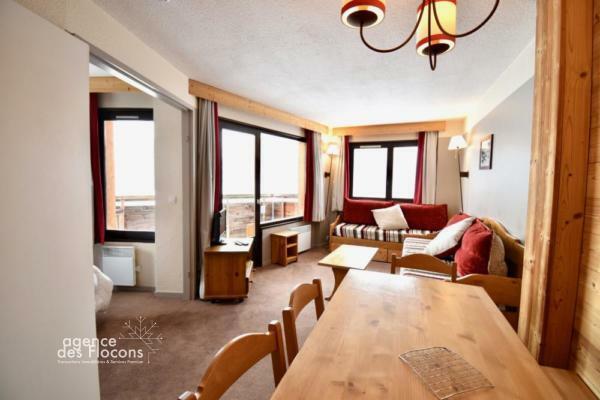 2 nice balconies with a nice view on the Morzine Valley, the Falaise area and the beautiful sunsets. The building was built in 1974, it has been totally renovated: cladding, elevator, hot water production system. 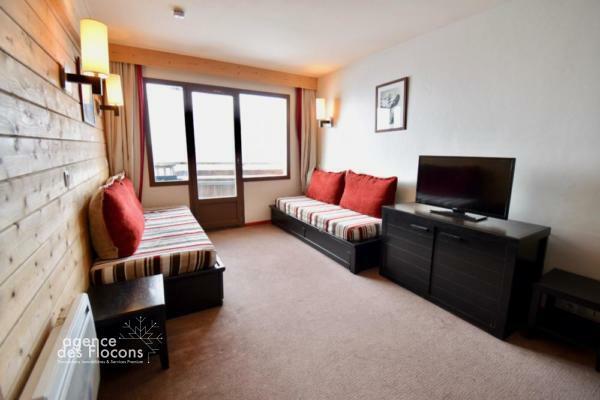 A convenient location, a big balcony and a so nice view on the Morzine Valley! 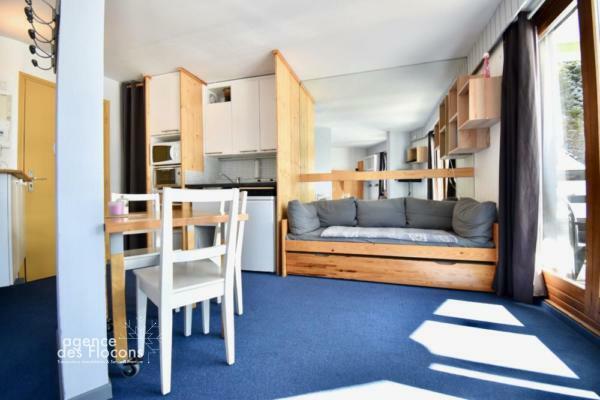 Share the post "Nice and comfy apartment – Sosna (Sales agreement signed)"